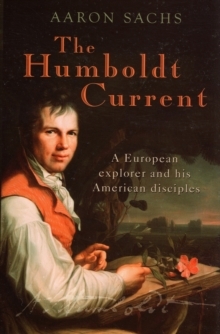 While everyone has heard of the 'Humboldt Current', few know anything of the man after whom it was named. Yet Alexander von Humboldt was a towering figure of his time - scientist, explorer, and polymath, imbued with Enlightenment ideas - and he left a profound impact on the intellectual life of 19th century America. Aaron Sachs' colourful intellectual history rescues Humboldt from obscurity, and reveals the impact of a single European on both American thought and theenvironmental movement. Aaron Sachs traces Humboldt's legacy by focusing not only on the man himself but on the lives of other remarkable individuals who took their lead from him - explorers of the American mid-West, alienated Romantics, seminal American writers and artists, who together laid the groundwork for the great ecological tradition in 19th century America.